‘Dual enrollment’ programs—where students attend both high school and college—are gaining in popularity as college costs soar. At just 24 years old, Haleigh Funk Butler already has seven years of professional experience in nursing. At 17, she started training at Culpeper Community Hospital in Culpeper, Virginia, and then worked at a family practice in nearby Warrenton. At 19, she became a registered nurse. For the past four and a half years, she’s worked in the medical-surgical unit at the Novant Health–UVA Health System Culpeper Medical Center. What gave Funk Butler the head start in her career was a “dual enrollment” program at Eastern View High School in Culpeper, which prepared her to become a licensed practical nurse (LPN) at the same time she was earning her diploma. Funk Butler took her LPN exam the month before her high school graduation in 2011 and then immediately landed the job in Warrenton, where she worked full-time while pursuing her RN license at Germanna Community College in Locust Grove. She continued to work and study and eventually earned a bachelor’s degree in nursing last year from the University of Mary Washington in Fredericksburg, Virginia. Dual enrollment programs—aimed at giving high school students a leg up on college—have been around since the 1950s. But with growing worries both about soaring college costs and whether the price of college is worth the returns in job and earnings opportunities, dual enrollment has surged in popularity as a way for students to save both time and money towards a college degree, earn a credential with immediate value in the job market—or both. It’s a trend that deserves to be embraced and expanded. According to the National Alliance of Concurrent Enrollment Partnerships (NACEP), as many as 10 percent of high school students—or 1.4 million students—were enrolled in college courses in 2010-11 (the latest year for which data is available). Moreover, the share of these students has grown by 7 percent per year since 2002-2003, with the fastest rates of growth among minority and rural students and among students in states that have made dual enrollment a priority. One reason states are embracing dual enrollment is its proven effectiveness in preparing students to succeed in college. A 2010 study of Oregon’s dual enrollment programs, for example, found that dually enrolled students are more likely to go to college, less likely to drop out as freshmen, and have higher grade point averages than students who did not take college classes in high school. Having experience with college-level courses can also make the transition to college easier, which could be of particular benefit for students more likely to struggle. For example, research from Columbia University found that lower-income and lower-achieving dual enrollment students saw bigger gains in GPA than other dually enrolled students. Students are also less likely to need remedial coursework. A 2014 study by the Colorado Department of Education found that students in dual enrollment were 9 percent less likely to need remedial education in college. Students can also benefit from dual enrollment by earning industry-related credentials that can immediately be valuable in the workforce. While the bulk of dual enrollment opportunities offered nationwide are in English, math and other general education courses—which allows students to skip those prerequisites when they get to college—roughly a third of dual enrollments are in career and technical education (CTE) programs. CTE is a particular focus in places like Culpeper County, where roughly a third of high school graduates go on to four-year colleges straight from high school. “Our goal is to dual enroll as much as possible in the career and technical education program,” said Randi Richards-Lutz, the director of career and technical education for Culpeper County Public Schools, where Haleigh Funk Butler went to high school. Of the 305 graduates from the Class of 2017 at Eastern View High, Funk Butler’s alma mater, 295 earned one or more industry credentials while still in high school, 17 graduated with at least 15 college credits and 7 graduated with an associates’ degree. In addition to the LPN program with Germanna Community College that Funk Butler attended, Culpeper County also now offers a culinary arts certificate through J. Sargeant Reynolds Community College in Richmond, as well as courses in criminal justice and pharmacy and emergency medical technician training. Richards-Lutz said the county surveyed both its students and local businesses to decide what kinds of courses to offer to match the skills students want and the local economy needs. “We have a lot of manufacturers and technology companies here,” said Richards-Lutz. “Our businesses have done a great job working with area schools so that students can get credentials and be able to work in their facilities.” Among these large local employers, Richards-Lutz said, are Continental Automotive Systems, Inc., a brake parts manufacturer, and Terremark, a data fortress now run by Verizon. Nevertheless, dual enrollment as it currently stands is not a perfect solution for all students. As conceived in the 1950s, dual enrollment was originally targeted at high-achieving students wanting a jump start on college. Most places that offer dual enrollment have broadened the reach of these programs to pupils of all levels, including through a focus on career and technical programs. Still, students have to be ready for college-level work. This means that students in the worst-performing schools or those who’ve fallen behind academically can’t take advantage of these opportunities. “It’s a rare program that works with students with severe deficits,” said NACEP’s Adam Lowe. Students also need to be committed to the extra work that dual enrollment demands. Under the LPN program offered by Germanna Community College and Culpeper County schools that Haleigh Funk attended, students spend half a day at Germanna and the other half at their high schools. Funk Butler was also required to attend multiple clinical sessions at Culpeper Community Hospital, beginning at 7 a.m.
State funding for dual enrollment programs is also still scattershot, which is another barrier to increasing access to these opportunities. NACEP’s Lowe says that while some states generously fund dual enrollment, others skimp. Georgia, for example, leads with appropriations of $88 million a year. Massachusetts, on the other hand, only spends between $600,000 and $800,000. In Culpeper County, Virginia, the school district picks up 90 percent of the cost of tuition for dual enrollment students, which means that each course only costs students a few hundred dollars. Haleigh Funk estimates that her LPN cost her only about $2,000 to earn, including the cost of books. Still, even that minimal an amount might be out of each for some students. High school students are not eligible for federal student aid, such as Pell Grants, which is why some schools rely on businesses and philanthropy to fill the gap. At Germanna Community College, for example, the locally based Sunshine Lady Foundation is funding a dual enrollment program called the Gladys P. Todd Academy, aimed exclusively at first-generation and underserved students in Fredericksburg and Spotsylvania County. Todd Academy scholars receive full scholarships and graduate with an associates’ degree along with their high school diploma. 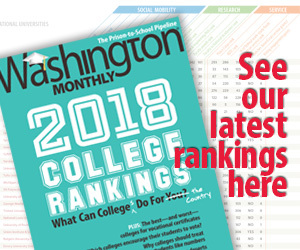 Many of these students go on to four-year college, according to a Germanna spokesman, including local schools such as George Mason University and Randolph-Macon College as well as elite universities such as Princeton and the University of Pennsylvania. But as impressive as this program is, it likely would not exist without philanthropic support. Nor is it broadly available to every student deserving of the help. Even as dual enrollment programs expand across the country, a continuing challenge will be to ensure that it’s not just wealthier students who can participate. “Any time you have a program that’s really good – if you’re providing it only to those students who can afford it or who are already excelling, you’re only going to worsen the gap among students rather than use that tool to reduce it,” said NACEP’s Adam Love. One potentially obvious solution for reducing the costs of dual enrollment is to allow limited early access to federal student aid for high school students in dual enrollment, including Pell Grants. One option, for example, could be to provide up to $1,000 a year in Pell funding for dual enrollment students in accredited programs. Alternatively, students could be “advanced” the Pell funding they would otherwise qualify for were they already high school graduates. In addition to expanded student aid, states would also benefit from an infusion of federal dollars to support dual enrollment programs. Though any aid is likely not forthcoming, given the current state of affairs in Washington and the sharp cuts to federal education funding President Donald Trump has proposed, graduates like Haleigh Funk Butler would say it’s well worth the investment. The Accuplacer test funnels students into costly remedial classes that many probably don't need.